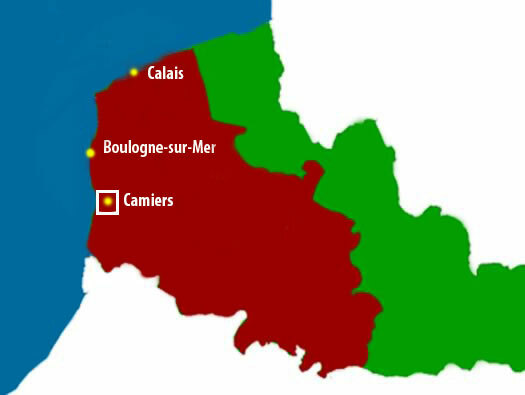 Beauregard sud est, Camiers, Pas-De-Calais. K.V.A. 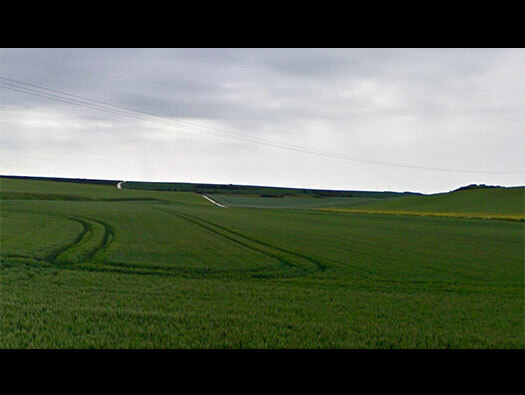 D1 Hardelot to Merlimont. Stab Gen. Rgt.150 Head Quarters Grenadier Regiment 150. Situated on 1 February 1944 at Boulogne from the reserve Grenadier Regiment 267 and the Reserve Grenadier Battalions 467 and 487. The regiment was under the 49th Infantry Division and was destroyed in August 1944 in the battle of Mons. The 49th Division was used for coastal protection between Boulogne and Etaples with the Reg.150. holding this front. Emblem of the 49th Inf. Div. Head Quarters staff taking lunch. 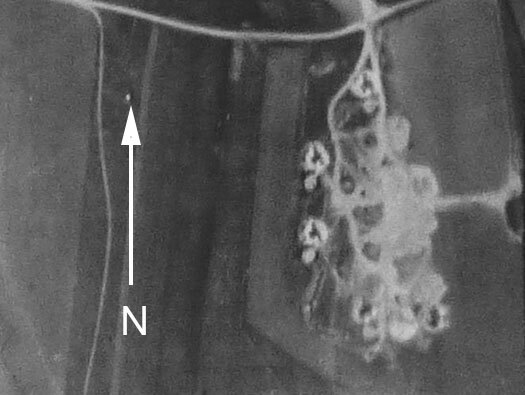 Allied air reconnaissance photo of the area. You can see clearly the bunkers being built. First a hole is excavated and the bunker built inside it and then the soil is back filled over the bunker. 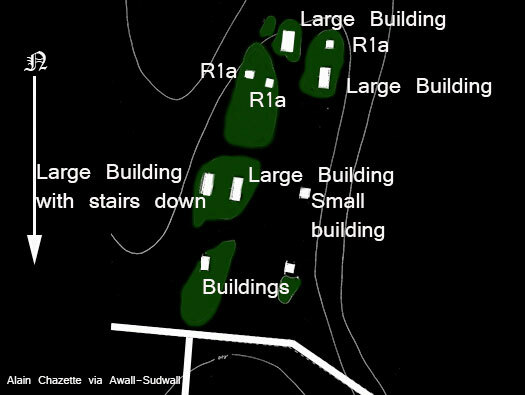 Vf1a (R1a) is one of the types of small bunkers here up on the hill. 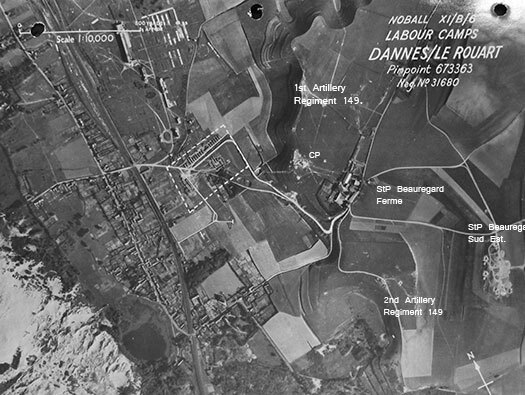 There are inscriptions on two of the bunkers saying '1943 RAMD Henri'. Sorry I drew this upside down. This plan is re drawn from Alain Chazettes on the Atlantikwall Superforum. 1500 x rifles, 1100 x pistols, 700 x sub machine guns, 500 light & 100 heavy machine guns, 58 x 81mm mortars and may have had some 20mm AA guns and some Field Kannon of 7.5cm to 10cm under their command. The division was made up of three regiments the 148th, 149th and 150th, all were for defence positions and had no organic transport except a few horses, wagons and field kitchens and a few bicycles. The Head Quarters is the rough area on the far hill side.